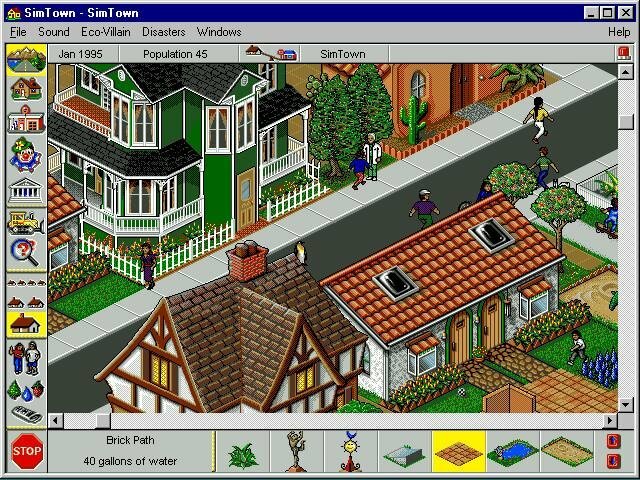 Back in the late ‘80s, SimCity was a huge hit on the PC, and it quickly earned its classic status. 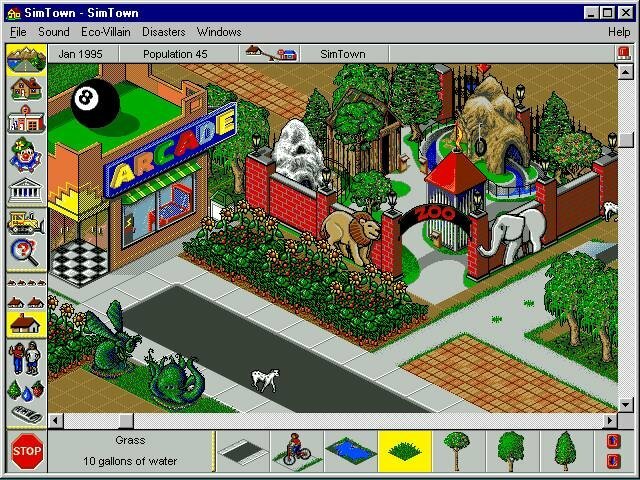 The challenge of managing a growing city and keeping the citizens happy made for an intriguing, addictive game. 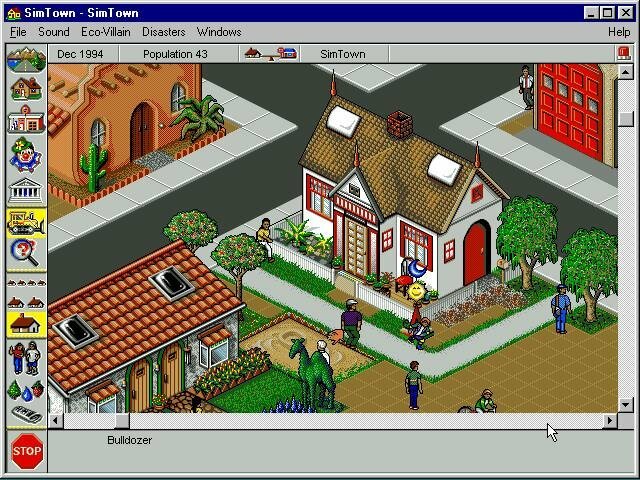 SimTown is essentially SimCity Lite, bringing the same tried-and-true formula to a smaller, more accessible scale with better graphics and a lower difficulty. 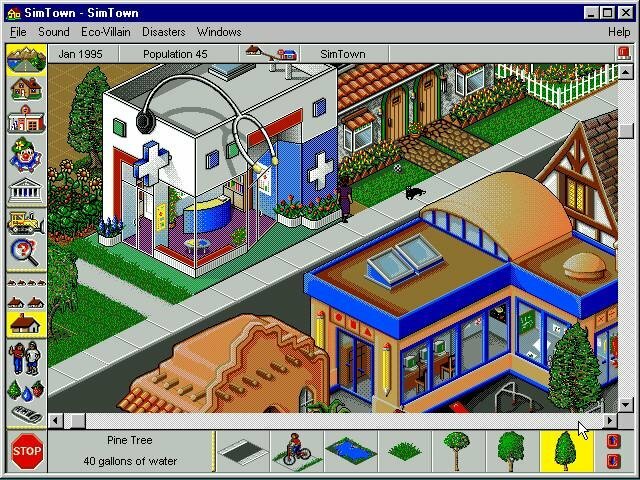 Aimed at kids aged 8-12, SimTown has plenty to hook you and keep you playing. 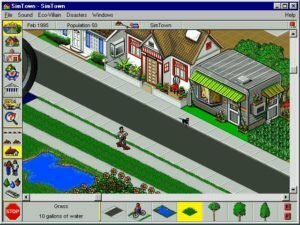 Just like in SimCity, you build roads, houses, buildings, etc., with a simple point-and-click interface that’s a snap to learn. 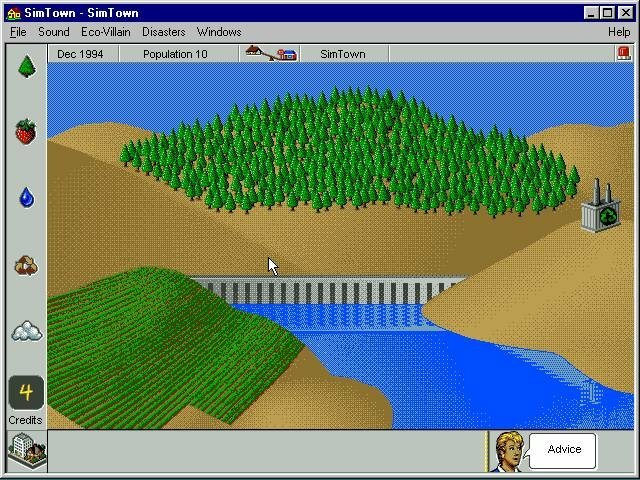 Starting with an empty tract of land, you’ll build a town from the ground up using items from a variety of categories, including Terrain (grass, trees, roads, etc. ); Homes (Tudor, apartment, ranch, etc. ); Community Buildings (school, fire station, post office, etc. ); Businesses (pizza parlor, grocery, radio/TV station, etc. 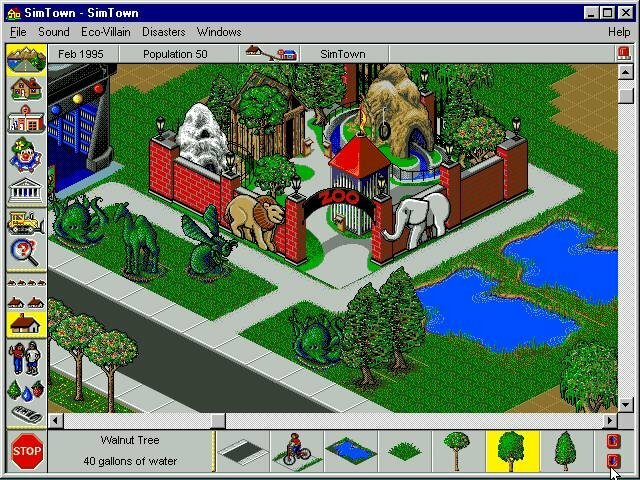 ); and Fun Places (arcades, zoo, etc). 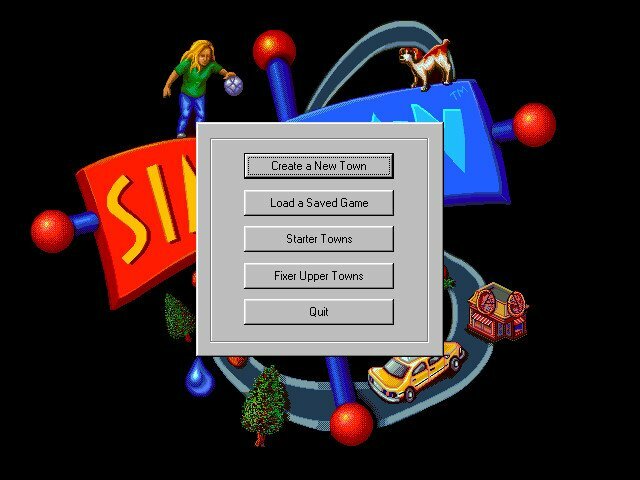 But once your town has grown to a certain size and you’ve added the same building of the same type again and again, there’s nothing really left to do. 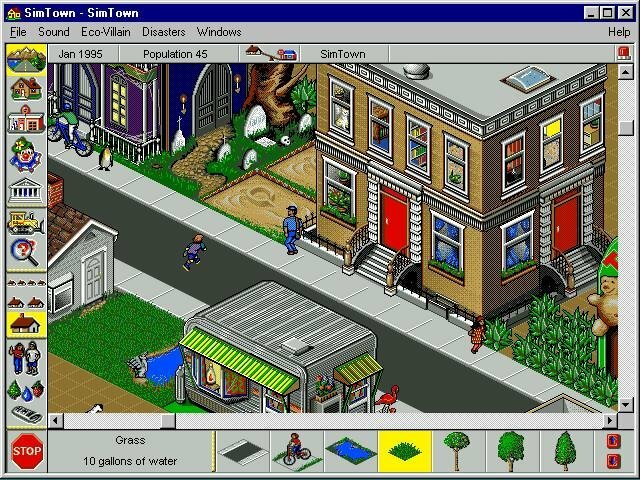 You can turn on the Eco-Villain mode, which triggers ecological baddies like Water Hogs, Litter Bugs, etc., to wreak havoc on your town and keep you busy. 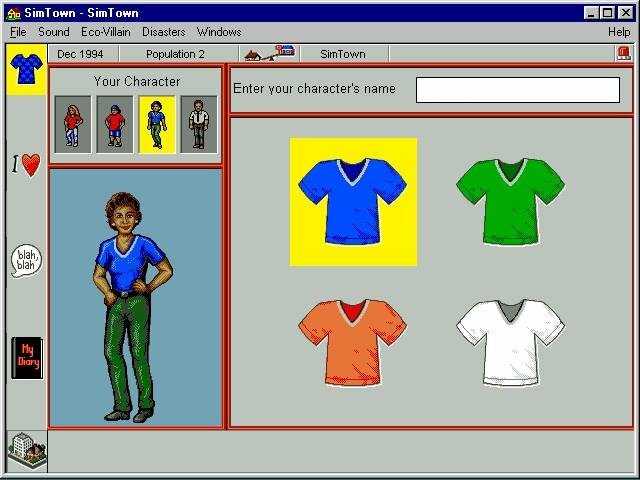 You can even have the game trigger natural disasters like droughts, earthquakes, and fires. 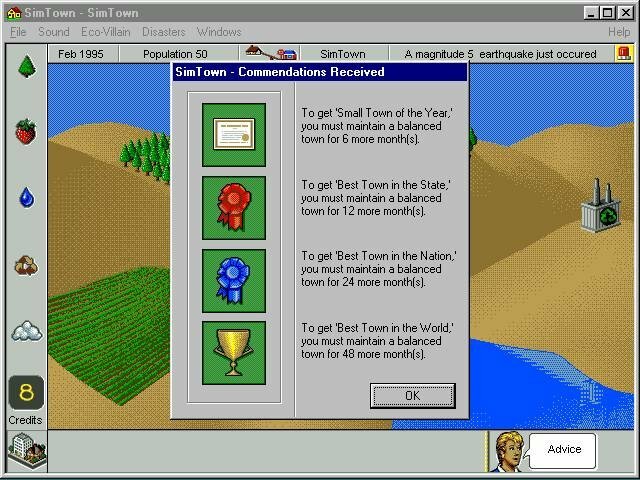 SimTown also comes with four scenario towns. It’s when you manage one of these that you start to realize how everything works together. 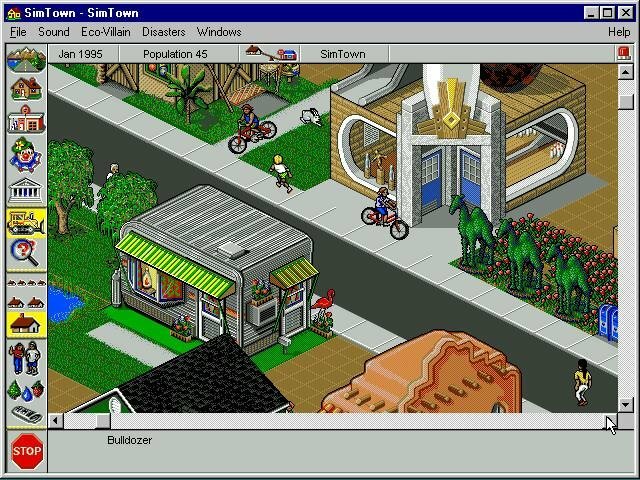 In BadAirTown, for instance, there are too many roads. 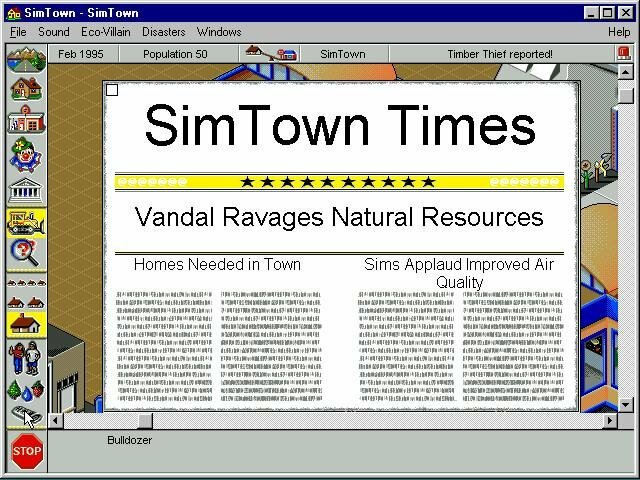 More roads means more cars, which means the town is full of smog, which means your sims are getting sick. 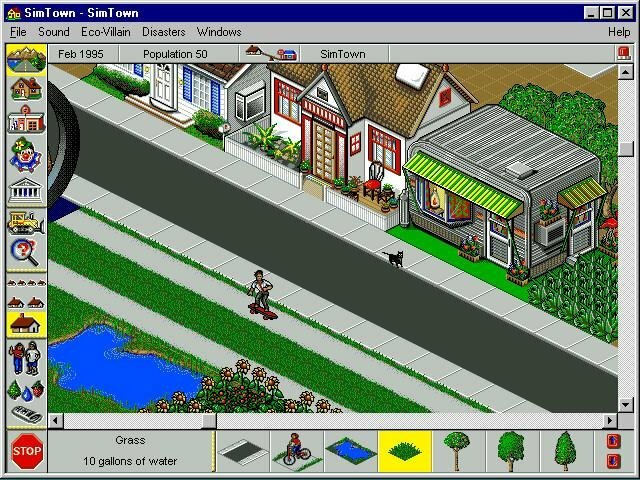 All of this gets the little wheels in your head turning: What would happen if you built a town with just bike paths and walkways instead of roads? What about separating all the homes from all the businesses with a big, central park? Small challenges like these keep players around.